To see customization options and prices and to order, click on a style (category to the left or bottom of page) and then on the item. The Traditional collection features distinctive top and base moulding, raised panel doors and burnished brass hardware. The Fluted collection has solid wood fluting, raised panel doors and choice of hardware. 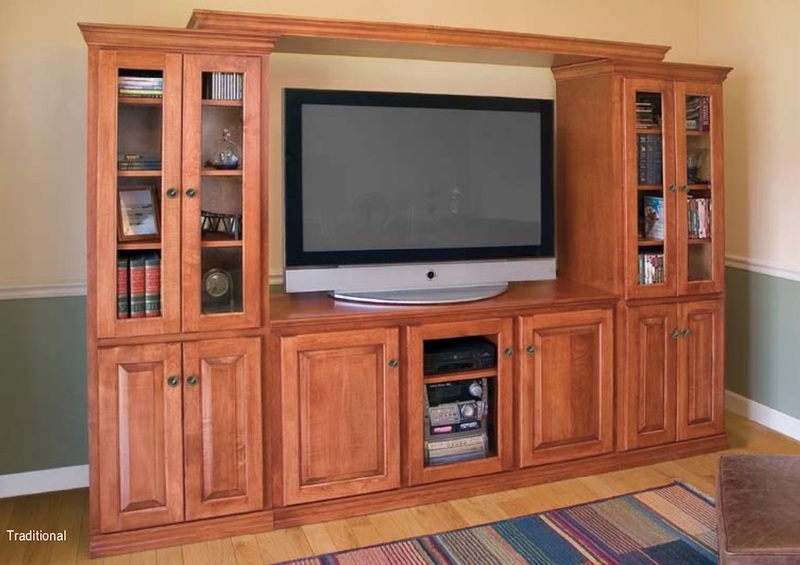 The Shaker style has solid post construction and flat panel doors with wood knobs. The Cottage collection features solid wood turned feet and beadboard panel sides and doors with wood knobs. 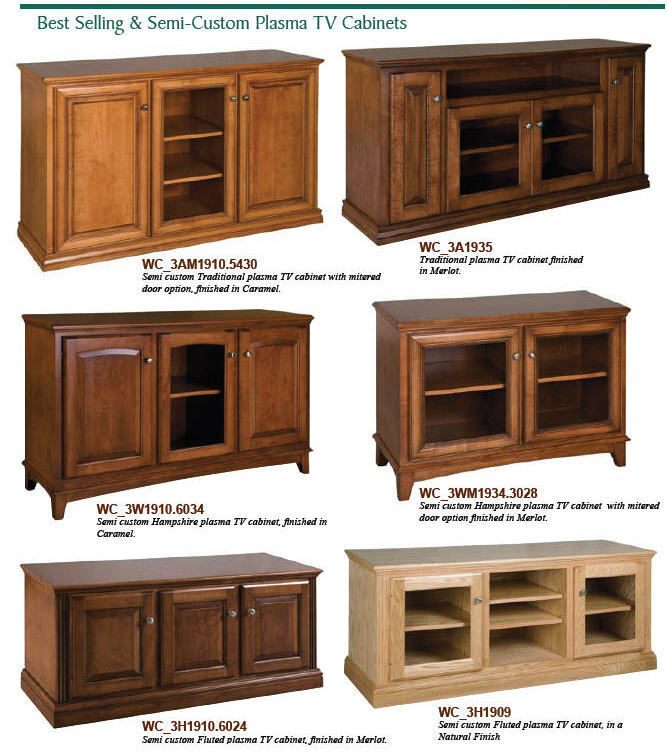 The Modern collection has clean, squared-off lines, square legs, and flat panel doors. Add a unique and personalized touch to your furniture by converting the standard door to a raised-panel, flat-panel, beadboard, slab or glass door. See the furniture options page for details. Distinctive top and base moulding and raised panel doors.